If you’re limited to an all pureed diet, you can get a real craving for some pure meat every now and then. Most puree diets consist of pre-softened foods mixed together, as most physicians will tell you to stay away from pureeing food that’s tough due to the possibility of not being able to get out every chunk and fibrous material that you may not be able to digest. Luckily, there are many high-powered machines out there that are able to get an even, smooth, chunk-free puree out of even the toughest meats. For a hearty meal that’s reminiscent of those home-cooked turkey or steak dinners, check out the best blenders for pureeing meat below and get cooking! Vitamix machines, especially this one, are incredibly powerful. It has rave reviews online by users, one going so far as to say “this isn’t a blender – it’s a way of life.” It’s so powerful that it can blend anything from nuts to coffee beans to dough and yes, even meat. 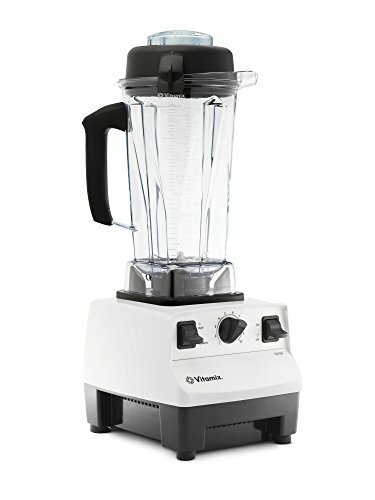 This blender has a large 64 ounce container, which is great for large dishes or if you like to make large batches and then store them away. It also has an easy to use, complete control dial adjustment feature that works while it’s blending, so you’re always in control of the process. The blades themselves are stainless steel, and can actually reach speeds so high that they create friction heat. This means you can take cold ingredients (like meat) and actually cook them into a nice blended soup in about 6 minutes with this machine. 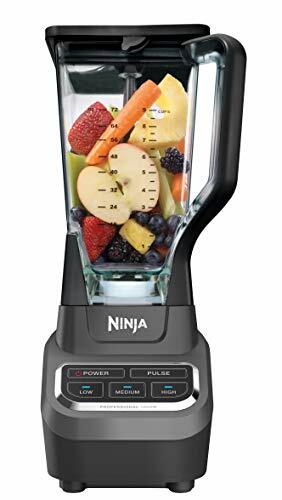 The Ninja blender is even more highly acclaimed. It has a beautiful, sleek design that fits in with any kitchen decor, but all parts are BPA free and dishwasher safe. In terms of function, the blender jar holds a whopping 72 oz., great for large batches. It also has 6 powerful stainless steel blades that are able to blend ingredients efficiently and effectively in seconds. It also has 1000 watts of power, which is a very high rating for a home blending machine. This will surely pulverize your meat into a nice puree in no time. A slightly more affordable option comes from SKG. 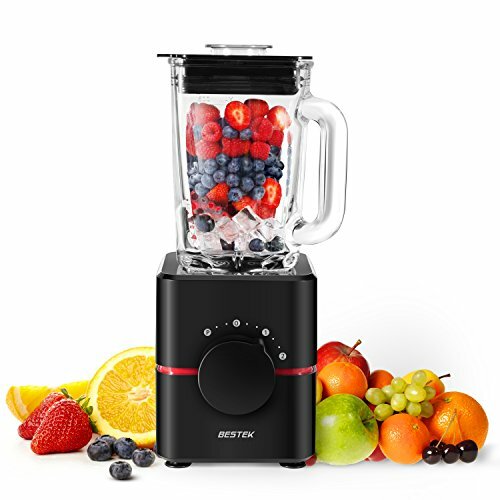 It has 500 watts of power, 2 speeds and a pulse button, and the blending jar is glass, which some consider healthier or cleaner than plastic alternatives. It also has non-slip feet on the bottom to add stability to the machine, which is important for keeping your counters safe and clean. But aside from these specs, what makes this blender particularly suited for pureeing meat is the accessory it comes with. 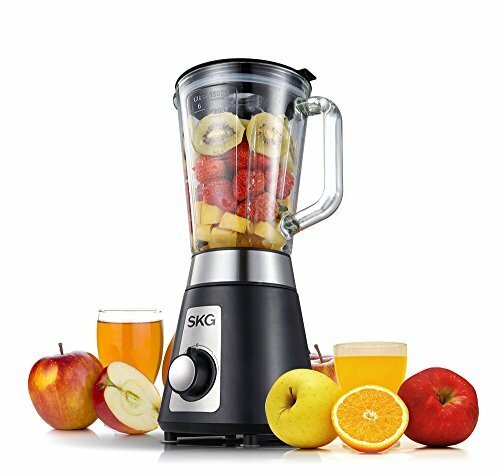 The SKG meat mincing cup is a great addition to this blender because the stainless steel blades from the blender can be easily removed and put into this mincing cup, allowing you to thoroughly chop up your ingredients, particularly any kind of meat, before blending for the smoothest, most even texture you could want out of a meat puree. The BESTEK blender is one of the most versatile on the list, as it’s sold as an all-in-one blender, mixer, meat grinder, and food processor. It’s wide range of settings and powerful, multi-functional blades allow it to perform all of these tasks. This means you can use the same machine to grind up your meat, and then seamlessly move to blend it up into a nice puree. The jar is glass, but it’s reinforced with shock resistant, anti-corrosion materials. The blades are stainless steel to handle any ingredients easily, and they’re easily detachable and dishwasher safe. It has a 550 watt motor as well. This is a great, affordable, versatile alternative to the choices above. So now we know some of the best machines for pureeing meat, but, how exactly do you do it? There are more steps than you may think. First, it’s important that you choose an already tender cut of meat. Obviously, it’ll be harder for your blender to puree your meat if the meat is tough and hard to cut outside of the blender. This means boneless chicken breast, and higher quality cuts of other meat. Yes, this means it’ll be a bit more expensive. But your puree will come out the best if you follow this preparatory rule. Next, slow cook the meat in its original, whole form. This will help it retain moisture and flavor. Then, once it’s completely, thoroughly cooked, chill the meat for at least 2 hours or until entirely chilled. This makes it easier to chop up and blend. In terms of the actual blending process, cut up the meat into small pieces, place those in the blender, and blend until you get a grain-like, almost powdery texture. Then add your liquid of choice (broth, water, etc.). You’ll need about a quarter cup of liquid for every cup of meat. Pureeing meat and other proteins can seem a little counter-intuitive, but if you’re on a puree-only diet, you can get a real craving for that kind of food. There are many tools and machines out there that are perfect for pureeing meat, and as long as you follow the tips above, you’ll have a nice thick, juicy, tasty meat puree in no time. Have you tried this technique before? Do you have any tips for pureeing meat with a blender? Share below! Please share on your socials if you found this helpful!